Is That A Walrus On Your Face? 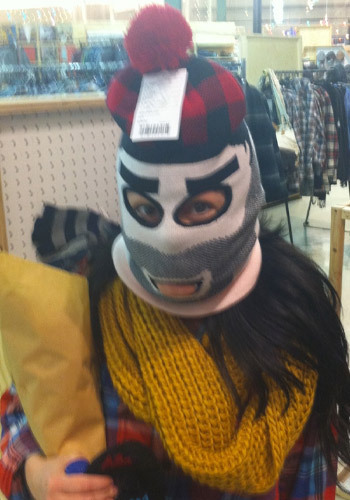 While shopping for some Christmas gifts at Urban Outfitters my wife decided to surprise attack me wearing a lumberjack face mask! After I collected myself and cleaned my drawers I thought the face mask looked awesome! Come to find out Urban Outfitters has a whole slew of awesome face masks and hats for winter including a walrus, monkey, skunk and even Bert and Ernie from Sesame Street.